CITEC was founded in 1988 under the name CARBOTEC in Berlin West and introduced a new generation disc wheel. These CARBOTEC disc wheels were constructed from aluminium rims and pre-tensioned carbon skins. This rather labour-intensive construction method guarantees high lateral stiffness while maintaining superior ride comfort and control. More than 25 years on and with many improvements this is still the world leading disc wheel. 1994 CITEC introduced the first 12-spoke system wheel. After moving into their own premises in Beelitz on the outskirts of Berlin development of the innovative, patented Power-Block-System was started. This technology has become the signature of all Citec spoked wheel sets. Recently Citec introduced Concave System, a totally new, revolutionary, patented rim design. Redesigning the interior structure of the rim profile has made it possible to construct even lighter rims with extremely high resilience. 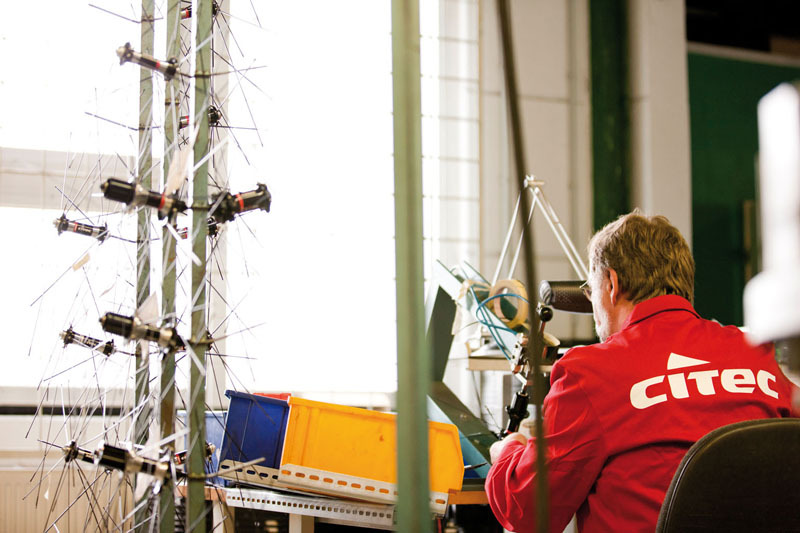 Innovative ideas, permanent research and development, modern computer-aided (CAD and FEM) construction methods, exclusive machines designed and built to exacting standards and last but not least rigorous quality control ensure that CITEC wheels are at the forefront of quality and technology for years to come. All Citec wheels are manufactured to order and will be sent to you directly from the factory. All wheels have a 2 year guarantee against manufacturing faults as well as an industry leading 5 year guarantee on spokes (where spokes are present of course).